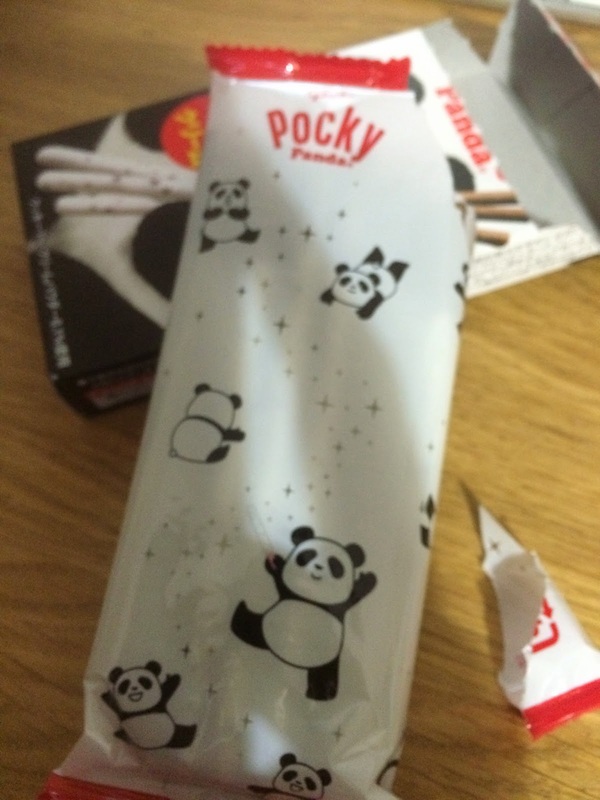 This is a rather unusual Pocky - it's not a flavour, it's a creature! 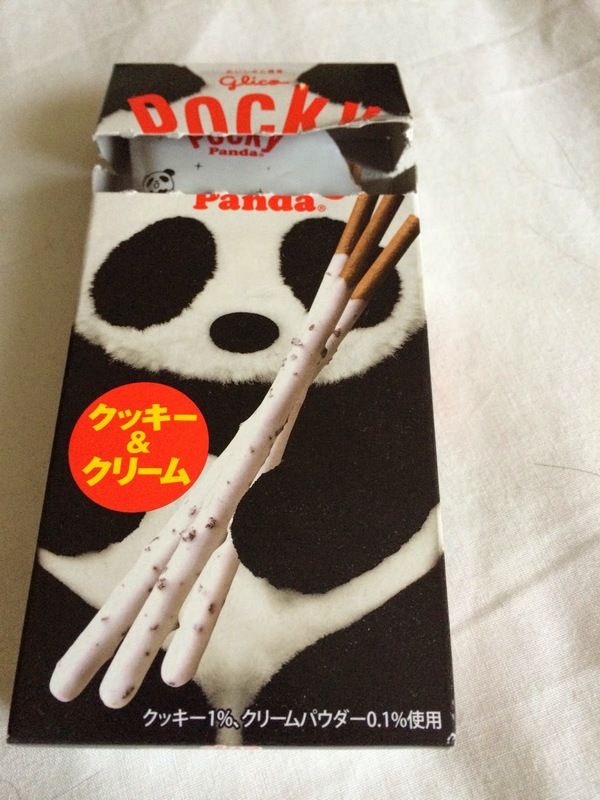 Pocky Panda comes in an adorable box and promises chocolate sticks, white coating and little black bits under the coating. Even the inner bag is adorable. The pandas look so happy because it's clearly not made out of pandas but designed for pandas. The sparkles suggest it has magical properties. The import info is non-existent so we pretty much have to guess from here on out. The actual snack is pretty much as pictured. The white stuff is sweet with a tiny hint of maybe vanilla. The black bits on the stick are I guess slightly biscuity. 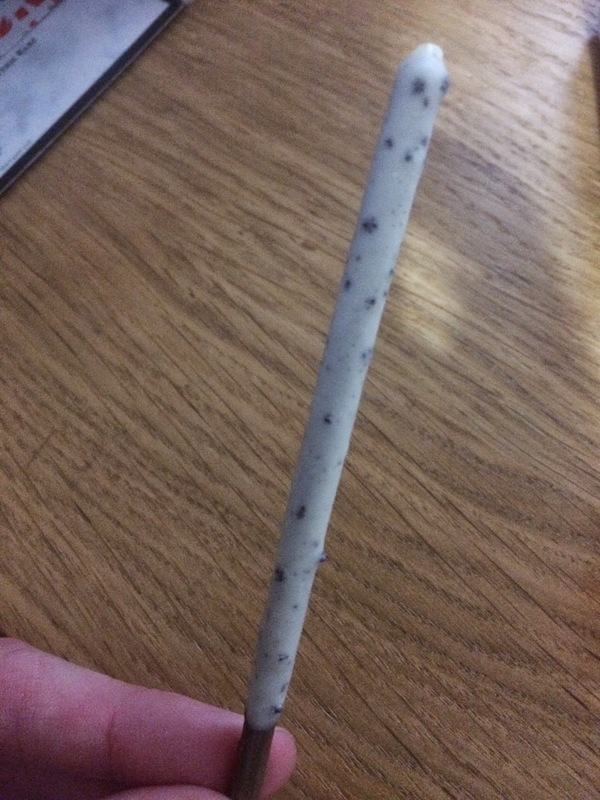 The chocolate stick isn't as nice as the normal 'classic' Pocky stick, but it's perfectly edible and of a nice quality. Overall it's a cute, sweet snack and very sharable. I don't think you'd eat a whole box of this to yourself - and like the novelty tissues/erasers/etc. with pandas on them they are very giftable and you feel a bit guilty using them up. Hooray - guilt free panda themed snacking for all!